If you hadn't noticed, Trump's first few weeks in office aren't exactly running smoothly, thanks in part to his refusal to accept that his inauguration pulled a (much) smaller crowd than Obama's. Sadly, he now has the authority to actually silence some of the people who call him out on his favourite haunt - Twitter. One of the many accounts to retweet the now famous image of Trump's crowd vs Obama's was the official National Park Service. The NPS is responsible for the care of all the federal preserved land in the United States, which is a pretty big deal if you care even a little bit about environmental conservation. Trump is clearly more concerned with his own rep, as shortly after the retweet, the NPS account was temporarily suspended and the offending tweets were taken down. How's that for freedom of speech. Since going active again, the NPS have started being a lot more cautious, but something else rather wondrous has happened. 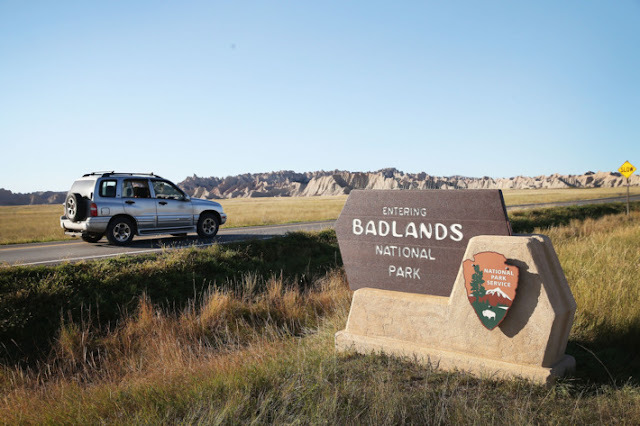 One of the NPS's underlings - the aptly named Badlands National Park in South Dakota - decided to counter this by tweeting heavily about environmental issues, the kinds of issues which Trump's cabinet has so wilfully failed to address. Once again, the tweets were removed, but a couple of days later, there they were again. They stayed up long enough to get people's attention this time, as they were screencapped and spread across the internet. The official Badlands account is now almost completely devoid of any environmental posts, but a number of unofficial ones have emerged, and they're saying pretty much whatever the hell they want. Some of these, particularly @BadlandsNPS, seem intent on unabashedly tearing into Trump and his cabinet, while others are more straight laced, but this isn't an isolated occurrence, oh no. Scientists from NASA, the Environmental Protection Agency, the National Weather Service and a number of other groups have also launched unofficial Twitter accounts with Trump set squarely in their crosshairs. Most of the chatter is against the restrictions being placed on the official accounts, preventing them from discussing basically any and all environmental issues. Many of the tweets have gone out with either #resist or #resistance affixed to them, adn the movement is only gaining ground with time. Some have speculated that the reason all this muzzling is happening is because Trump is planning on pulling the funding from huge swathes of conservation initiatives across the US. At least we can take solace in the fact that if that does happen, he'll struggle to keep it quiet.